BURKE, ALFRED EDWARD, Roman Catholic priest, church society administrator, editor, and army chaplain; b. 8 Sept. 1862 in Georgetown, P.E.I., son of James Burke and Mary Moar; d. 15 Dec. 1926 in Rome. Descended from Irish immigrants, James Burke operated a shipping business in Georgetown; his wife’s family had come from the Orkney Islands in Scotland. After completing his public school education in Georgetown in 1877, Alfred Edward Burke, the fourth of seven children, enrolled at St Dunstan’s College in Charlottetown, where he excelled in literature. In 1880 he began studies at the Séminaire de Québec; he graduated with the highest honours and was ordained priest on 30 May 1885. He then became an assistant at St Dunstan’s Cathedral in Charlottetown and secretary to Bishop Peter McIntyre*. While a curate there he prepared an extensive report on all Island parishes and convents, and assumed temporary duties as an assistant pastor at Rustico and administrator of St Joachim’s parish at Vernon River. On 22 Sept. 1887 McIntyre appointed Burke pastor of Sacred Heart parish at Alberton, in Prince County. It was there, and in the adjoining parish of St Mark, Lot 7, that he would win accolades as a zealous priest who was interested in practically every detail of parish life. Upon his arrival he was shocked by the low state of religion. He initiated remedies that included religious instruction for adults, the training of an organist, and the formation of a temperance association. On one occasion his breaking into a grog-shop and destruction of its wares led to criminal charges, which on appeal were dropped. (His interest in temperance continued, and in 1908 he would serve as president of the Island branch of the Dominion Alliance for the Total Suppression of the Liquor Traffic.) In 1893 Burke’s belief that young men required life insurance, to protect their families, prompted him to set up a branch of the Catholic Mutual Benefit Association. From this pioneering establishment he founded branches across the Island, and in 1904 he was elected a grand trustee on the CMBA’s national executive. To familiarize himself with the rural character and work of his parishioners, Burke, who had no farming experience, undertook a rigorous study of agriculture and acquired considerable expertise. He organized the Alberton agricultural exhibition in 1892, was a charter member (1898) and president (1903-7) of the Fruit Growers’ Association of Prince Edward Island, was a member of dairy and stockbreeders’ associations, served as a vice-president of the Maritime Bee Keepers’ Association and of the Prince Edward Island Poultry Association (1908), and became an expert on reforestation and a provincial vice-president of the Canadian Forestry Association. 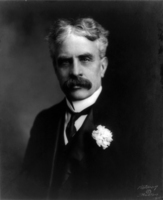 In addition, he helped establish the West Prince Board of Trade (1903). Such activism won him recognition. In 1904 his lecture in Ottawa on reforestation on the Island had been attended by Prime Minister Sir Wilfrid Laurier* and Governor General Lord Grey*. Two years later the University of North Carolina presented him with an honorary doctorate in forestry. Burke’s energy – his recreations were swimming and boating – infused his promotion of public works and his imperial and political partisanship. In 1905 he had advocated a tunnel under the Northumberland Strait, a link that he saw as the surest means of securing the Island’s economic vitality. He strongly believed too that the health of his province, and of the dominion, was tied to the fortunes of the British empire. He and other anglophone Catholics, among whom he had a large following, were smitten with a vision of a Canada in which the values of Catholicism would be transmitted through the English language. In a speech in Toronto to the Empire Club of Canada in 1910, he attributed his unabashed patriotism and imperialism to the late Cornelius O’Brien*, the Island-born archbishop of Halifax who had been a prominent member of the Imperial Federation League. Burke’s unbridled energy was also evident on the hustings, where he openly supported the Conservative party. He was a friend of federal opposition leader Robert Laird Borden* and an admirer of former senator and lieutenant governor George William Howlan*. In 1901 his political writings in the local press had incurred the wrath of McIntyre’s successor, James Charles McDonald*, who ordered Burke to write only with his clearance, except on historical and scientific matters. When Burke appealed to his bishop’s superior, O’Brien, McDonald claimed that Burke’s polemics had been detrimental to religion on the Island. As a result of O’Brien’s intervention, the ban on Burke was limited to matters of religion. It must have been a relief to McDonald when Burke agreed in 1908 to direct the new Catholic Church Extension Society of Canada. While in Quebec City that year for its tercentenary and to receive a dd from the Université Laval, he had been approached by Archbishop Fergus Patrick McEvay* of Toronto and others to take charge of a home-mission organization roughly patterned on the American Catholic Church Extension Society, established in 1905. It was the founder of this society, the Reverend Francis Clement Kelley, an Islander and one-time altar boy of Burke’s, who had recommended him. Under Burke, the Toronto-based CCES, which would receive a pontifical constitution in 1910, was responsible for establishing missions to native peoples and immigrants in the west: raising funds, building churches, recruiting priests, supplying vestments and plate, and providing literature. Burke threw himself into the work of the CCES. 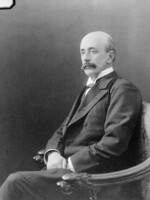 Not only did he assume its presidency, he also made himself editor of the Catholic Register, which the society had purchased in November 1908 and renamed the Catholic Register and Church Extension. Both within its pages and without, he took up the cause of southern and eastern European Catholic immigrants, who lacked clergy and religious materials. In an address to the first American Catholic Missionary Congress, in Chicago in 1908, he advocated the recruitment of missionary priests. A year later he spoke to the first Plenary Council of prelates in Canada and secured a commitment of $5,000 a year from each diocese. As well, he used the Register to publicize the threat posed to the Ukrainians by Protestant proselytizers, whom he likened to wolves ravaging the sheepfold [see Joseph Czerniawski*]. Within three years he could claim modest success: society revenues averaged over $16,000 per year, the paid circulation of the Register increased from 3,000 to more than 17,000, and aid to the Ukrainian Catholics was substantial. The CCES nonetheless had difficulty recreating a viable church structure within that community: the liturgical and cultural differences between CCES supporters and the Byzantine-rite Ukrainians posed a constant problem. In addition to nurturing faith on the frontier, Burke and his colleagues used the CCES to acculturate Catholic immigrants. To Burke’s supporters it was essential for their survival that new Canadians learn the English language and embrace British laws and political customs. When southern and eastern European priests could not be recruited, Burke and McEvay, the society’s chancellor, called for English-speaking clergy with ability in Italian, Ukrainian, Hungarian, and Polish. The dual purpose of Catholicizing and Canadianizing, combined with Burke’s imperialism, confirmed the fears of Catholic leaders in French-speaking Canada that the CCES was merely an agent of Anglicization. 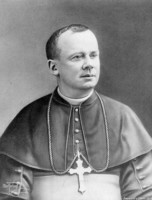 Archbishops Joseph-Thomas Duhamel* of Ottawa and Paul Bruchési* of Montreal had refused Burke’s early requests to locate his society’s headquarters in their dioceses. Adélard Langevin* of St Boniface, Man., bitter that he had not been consulted about a society that was to operate primarily in his archdiocese, was infuriated when Burke sent two priests to investigate the immigrant “situation” there without his permission. The CCES, Langevin confided to one of his priests, was a central Canadian plot to discredit his work and institute Irish Catholic control in the west. Suspicions of Burke’s opposition to French Canadian Catholic aspirations were strengthened in 1910 when he supported Bishop Michael Francis Fallon*’s criticism of bilingual schools in Ontario. Because of this seeming alliance, Archbishop Louis-Nazaire Bégin of Quebec and Bishop Joseph-Alfred Archambeault* of Joliette resigned from the CCES’s board, leaving Bishop Émile-Joseph Legal* as its only French-speaking governor. Undaunted, neither Burke nor McEvay backed down. Burke would use the Register to bludgeon the editors of L’Action sociale (Québec) and Le Droit (Ottawa), who had criticized English Catholic aggression in the west. By 1913, having recognized the embarrassment caused by such infighting, apostolic delegate Pellegrino Francesco Stagni insisted that the new archbishop of Toronto, Neil McNeil*, silence Burke on issues relating to French Canadian nationalism. McNeil had discovered from surveying the work of the CCES that many French Canadian prelates loathed Burke, and that some English-speaking Catholics felt he was keeping the society from reaching its full potential (revenues were a fraction of what they could have been). McNeil, however, had little room to manoeuvre. A papal appointment, Burke could not be removed by his archbishop or the society’s board, which still supported him. McNeil even failed to secure his episcopal appointment to British Columbia or the Yukon, a move he thought would obviate the need to petition Rome for his removal. Acrimony persisted until 12 Aug. 1915, when Burke resigned as president and editor. Upon his departure, Pope Benedict XV raised him to protonotary apostolic, the highest rank of monsignor. What enraged Burke’s colleagues most was his open assurance that Catholic troops were being well served and that there was no urgency to increase the number of priests. Prior to his arrival, the chaplains had, in fact, been desperate for assistance; many wounded and dying soldiers, they claimed, were going without the sacraments. By July 1916 Burke had prompted a revolt led by Captain Wolstan Thomas Workman, a Franciscan chaplain, and Captain John Joseph O’Gorman*, a priest from the archdiocese of Ottawa. 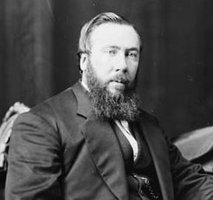 Well connected to the episcopacy and military bureaucrats in Canada, O’Gorman set in motion actions that led to the reform of the service, Workman’s appointment as senior Catholic chaplain, and Burke’s resignation on 21 Sept. 1917. Burke returned not to Toronto but to Wilmette, Ill., to stay with his friend, now monsignor, Francis Kelley. Burke’s name surfaced briefly in Toronto early in 1919 in connection with a national educational committee formed by the Navy League of Canada. Later that year Kelley decided to send him on a fact-finding mission to Mexico, where the anti-clerical measures of president Venustiano Carranza had forced its bishops into exile in the United States. With the approval of the Department of State, Burke travelled to Mexico on behalf of the bishops and the American CCES. Again he stirred up controversy: he claimed to represent the American hierarchy and exhibited an unanticipated level of faith in Carranza, who he thought, given Mexico’s revolutionary politics, was the “most conservative ruler” it had ever had. He added fuel to the fire when, in the Jesuit journal America (New York), he criticized Mexico’s religious orders and clergy for being too distant “from the life of the people.” His outlook enraged the exiled bishops and Kelley demanded his recall. Burke delivered “The Irishman’s place in the empire” to the Empire Club of Canada, a talk that appears in its Speeches (Toronto), 1909-10: 225-32. He also spoke on “The need of a missionary college” before the Catholic Church Extension Soc. of the United States of America; this speech was published in The first American Catholic Missionary Congress (Chicago, 1909), 77-84. He wrote The tunnel between Prince Edward Island and the mainland ([n.p., 1905? ]), a copy of which can be found in the Borden papers at LAC, MG 26, H, 318: 188794-807. Arch. de la Soc. Hist. de Saint-Boniface (Winnipeg), Fonds de la Corporation archiépiscopale catholique romaine de Saint-Boniface, sér. Langevin. Arch. of the Diocese of Charlottetown, J. C. McDonald papers; Sacred Heart (Alberton), annual parish report, 1888. Arch. of the Roman Catholic Archdiocese of Toronto, Burke clergy personnel file; First World War coll. ; MN DS15 (McNeil Roman corr. ); Neil McNeil papers; OC07 (Catholic Church Extension Soc. papers); OC20 RR01 (Ruthenian and Ukrainian papers, memorial to the first plenary council, 1 Oct. 1909). Archivio Segreto Vaticano (Rome), Delegazione apostolica del Canadà, 130.1, 184.18. LAC, MG 27, II, C1; III, B8; RG 9, III, 393, 4618. PARO, P.E.I. Geneal. Soc. coll., family files, subject’s file. Catholic Register (Toronto), 1908-16. Daily Mail and Empire, 11 May 1905. Le Droit (Ottawa), 9 sept. 1913. Canadian (London, Ont. ), 10 (1904), no.12: 5. Canadian album (Cochrane and Hopkins), 3: 435. Canadian annual rev., 1908-19. Canadian who’s who, 1910. The Catholic Church in Prince Edward Island, 1720-1979, ed. M. F. Hennessey (Charlottetown, 1979). D. W. Crerar, “Bellicose priests: the wars of the Canadian Catholic chaplains, 1914-1919,” CCHA, Hist. Studies, 58 (1991): 21-39. J. P. Gaffey, Francis Clement Kelley and the American Catholic dream (2v., Bensenville, Ill., 1980). F. C. Kelley, The bishop jots it down: an autobiographical strain on memories (New York and London, 1939). J. C. Macmillan, The history of the Catholic Church in Prince Edward Island from 1835 till 1891 (Quebec, 1913). M. G. McGowan, “‘Religious duties and patriotic endeavours’: the Catholic Church Extension Society, French Canada and the prairie west, 1908-1916,” CCHA, Hist. Studies, 51 (1984): 107-19; “Toronto’s English-speaking Catholics, immigration, and the making of a Canadian Catholic identity, 1900-30,” in Creed and culture: the place of English-speaking Catholics in Canadian society, 1750-1930, ed. Terrence Murphy and G. [J.] Stortz (Montreal and Kingston, Ont., 1993), 204-45; “A watchful eye: the Catholic Church Extension Society and Ukrainian Catholic immigrants, 1908-1930,” in Canadian Protestant and Catholic missions, 1820s-1960s; historical essays in honour of John Webster Grant, ed. J. S. Moir and C. T. McIntire (New York, 1988), 221-43. Past and present of Prince Edward Island . . . , ed. D. A. MacKinnon and A. B. Warburton (Charlottetown, ). Mark G. McGowan, “BURKE, ALFRED EDWARD,” in Dictionary of Canadian Biography, vol. 15, University of Toronto/Université Laval, 2003–, accessed April 19, 2019, http://www.biographi.ca/en/bio/burke_alfred_edward_15E.html.